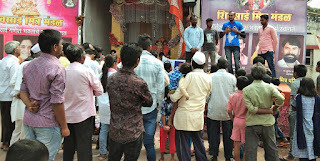 Chinchwad (Pune), 20-September-2018: The Don Bosco Development Society (DBDS) Chinchwad organized a street play titled ‘Tambaku Matlab Cancer’ in the Indira Nagar slum for the visitors of Ganeshotsav to local Ganpati Mandals. 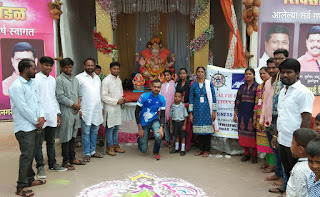 The cyclist Vivek who is cycling from Srinagar to Kanyakumari was the esteem guest for this event – he in his speech endorsed this campaign held under the aegis of ‘Health Risk Reduction Project’ supported by AXA Business Services. 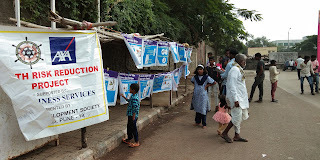 Mr. Vivek Shrinivas Lokur (AXA Business Services) addressed the entire gathering on road safety and on the risky habit of consuming tobacco products and harmful effects to such habits. 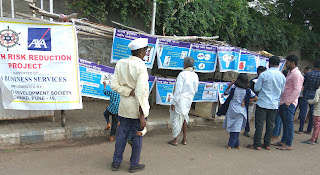 The program started at 8:30 am with the display of posters in the form of an exhibition to educate the visitors and residents. 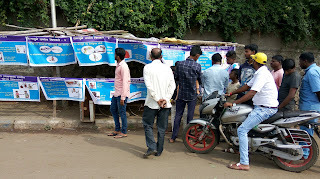 The posters contained visual material and written information on health risks associated with consuming tobacco and its effects on personal health, family and society. 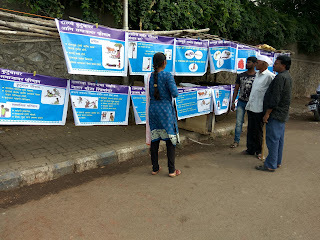 Lot of visitors stopped to see, read and understand the posters. 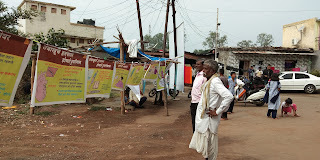 The social workers explained the information to the visitors. 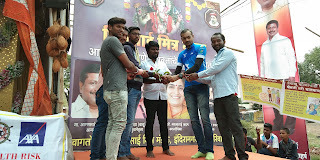 DBDS staff did the logistical arrangement for this Activity. 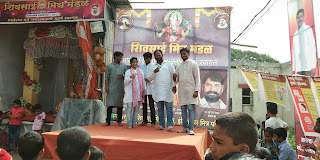 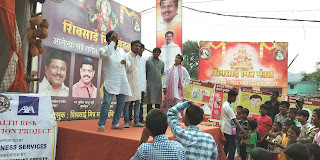 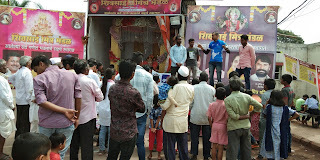 During Ganpati festivals lot of people visit Ganpati-pandals and therefore it was decided to enact 3 street plays for a wider outreach to people.